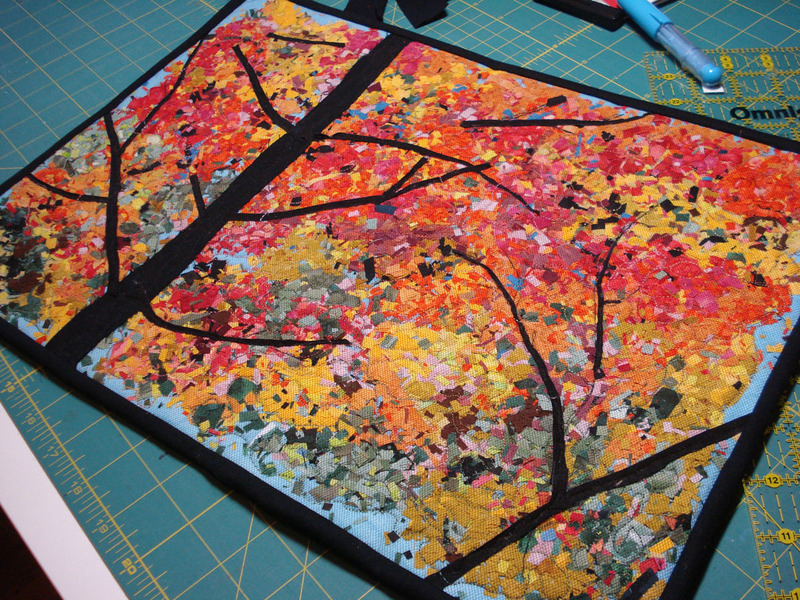 I’ve been working furiously this week-end on creating a new autumn leaves art quilt using the “confetti” technique to add to my collection for the McGregor Marquette Center for the Arts display (opening May 16th). 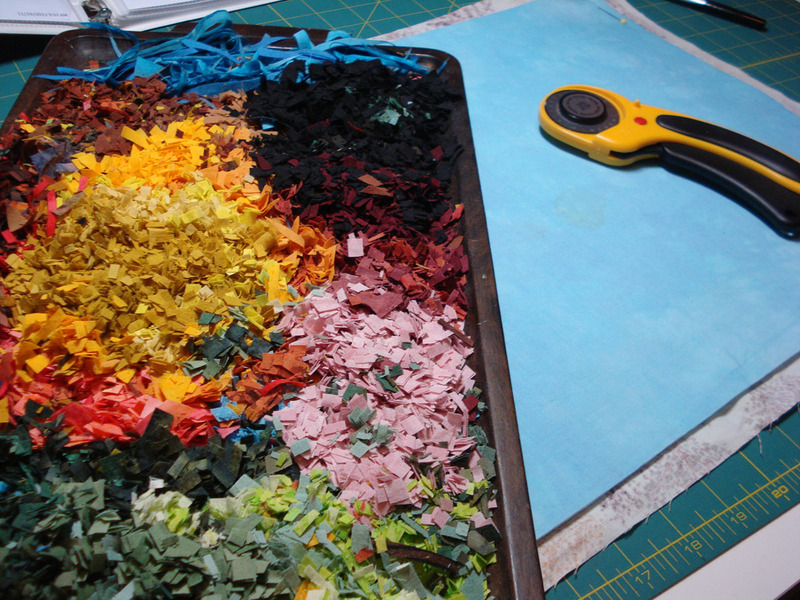 Starting with a piece of my hand-dyed aqua fabric as a background, and shredding up several different hand-dyed shades of red, green, brown, black and yellows, I started “painting” by sprinkling the “confetti” onto the background. I decided to try a new technique for backing the art quilt. 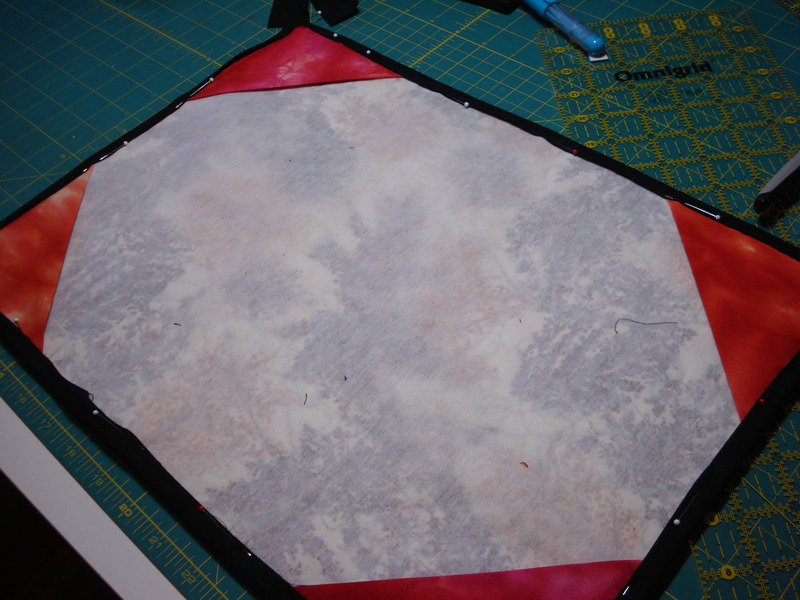 I first stiffened it by adding Pellon craft fuse-on interfacing to the back lining, and then cut four squares (5″ each) and pressed them in half–adding them to each corner of the back of the quilt. 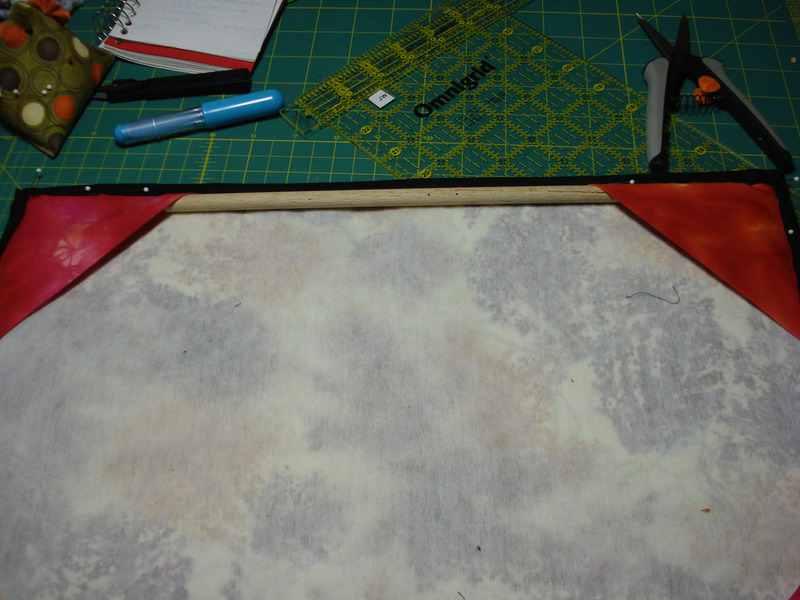 The raw edges are sewn into the binding and the raw edges will be encased when I fold the binding to the back and hand stitch it closed. Then I can simply add a thin wooden dowel to both the top two triangles to hang it on the wall, and I can add another dowel across the bottom (tucked into the bottom two triangles) to keep it from “curling” over time. All that’s left to do is to add my label to the back, and my art quilt is finished! This entry was posted in Art Quilting, Uncategorized and tagged art quilt, Autumn, autumn leaves quilt, backing technique for hanging, hanging small quilt, hanging your mini quilt, mulberry patch quilts, quilting, tutorial. Bookmark the permalink.